Early February I was asked by the Dalby Chamber of Commerce to be a guest speaker for International Women's Day. At first I was full of fear and wanted to say no. What ultimately pushed me to accept was my computer desktop background, which read... FEAR – has two meanings: Forget Everything and Run or Face Everything and Rise. I guess I choose the second option. - Photography gives me an outlet for my creativity. I am at peace when I am creating and capturing an image. Creating beautiful images for clients give me a sense of purpose in helping them see their own beauty and value as a person loved by others. - Photography has allowed me to see a deeper inspirational side to agriculture. Us farmers so often get busy that we miss the natural beauty in what we do with our lives. Photography is also a great educational tool for those who rarely see the inside duties of agriculture. I’ve always been a creative artsy kind of person. All through school I enjoyed art more than other subjects. So it was no surprise I found enjoyment designing, and creating images with my children. Every time I pressed that shutter I felt a deep joy with the images I captured. 2016 was the year it all began blossom. Ben and I had already been running our small partnership agisting cattle, down near Warwick and later move our herd into the South Burnett. Juggling our small established business, employment on the family farm, parenting and then starting a new photography venture, we soon realised the work ahead of us. But we are both determined rural persons. By the end of 2017 I had photographed 35 families and 6 weddings (3 of which I was the primary shooter), and 3 events. During Ben’s free time he would be traveling to our agistment block and working with the cattle, growing, fattening and preparing for sale. Myself, I would be coping with whatever time was available. Time I spent, raising two children, photographing my awesome families and clients, trying to keep our book work up to date and the occasional tractor and grain truck driving, to maintaining my garden I designed and grew from scratch. It’s been a busy two years. I have enjoyed every moment of every client I’ve photographed but not every client has been comfortable in front of the camera. And I applaud them for taking that step to having personal photography, not only for them but for their family to see them in a picture. Most of us mothers are always behind the camera taking the memories of our children growing. So when I get to photograph a mother with her family, you just see this overwhelming joy they have, to actually be in a photograph with her family. It’s like a flower blooming before your eyes. And when children see their parents enjoying the moment, their sense of self confidence is on full display. I get to see the love and unity of that family through the lens. My heart overfills with joy and I have even shed a few tears photography these moments. Sometimes I may be presented with a challenge from a three year old. And that’s when I initiate stealth mode. I become a wildlife photographer and snap those in between moments before the child is in flight mode. I’ve had parents who thought they would never see a nice portrait, to being overjoyed to see the final images of their happy child’s face enjoying the moment instead of their back. Something I’ve practiced a lot with my own children. My children have been photographed that much, they went through a stage to immediately turning their backs to me, so I had to photograph strategically. And one of the reasons why I purchased my 70-200mm zoom lens. So I can shoot from a distance and to stalk my children like a lioness stalks her prey. Now two years later, my children perform their own photo shoots. Placing each other in among the garden and looking for the best light. It seems they have been learning from me. As with all new business ventures, I soon realised running a legitimate photography business, many factors had to be black and white. Areas such as: ABN, (which I already had) insurance for equipment that was steadily growing, the public liability, and contracts, expanding from one contract to three. 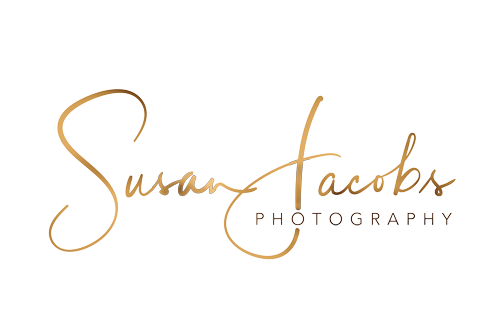 One for Families, one for Weddings and now recently one for my Business/Personal Branding Photography. Marketing can also be presented with challenges, particularly with social media. Posting beautiful images definitely serves a purpose in showing what we are skilled at; however, I soon became obsessed with how many “likes” and comments I would get each time I shared my work. And it became unhealthy to measure my own progress against someone else’s own worth. I was also challenged with getting myself out there. I’ve always been known as a quiet achiever. I’ve never been a person who has a huge following, and I tend to float around and get along with most. I strangely always do better marketing myself face to face, than through a screen. However, I am very grateful for those who have trusted me to take their photographs. At the end of 2017 a very good friend of mine, Melinda reached out. She has been a godsend. Her ability to see my worth even when I could not has been my support back to self care, self love and redefining progression in my business. How do we measure progress? If we continue to measure our own progress based on someone else, who we photograph, the number of likes we get, we would never be content with what we already have and never feel successful and become resentful and competitive. Because there will always be that someone who appears to have it all together. Yes the social media following can be a nice validation for our work to show our growth and mastery, but I had to ask myself... What would happen if social media flicked a switch and we no longer had that special number of “likes”? If we base our self worth and achievements on the number of likes, you would only have a false foundation. So then how would we connect, reach and serve new clients, particularly in a regional community. And that is why I joined the Dalby Chamber of Commerce, to get myself out there, away from hiding behind a computer screen and getting to know local families and businesses. Building a strong rapport with the local community is creating one side of a strong foundation to my business. The other side of a strong self worth foundation is from home. If social media disappeared, would I be proud with how I have been living my life?! And it is that side of my life I have to be honest with. I am going to make sure the inside of my life is good, my marriage is strong and my children know and feel they are loved and not ignored just because I was busy trying to feel validated. Yes there will be bad days, but I will ensure there are good days. Because at the end of the day, a strong family and friend foundation, is going to last longer than this hot social media platform that ultimately is only temporary until the next big thing comes along. So this is how I have now decided to measure my progress of my little business, a healthy balance for my own self worth, creating art for others and nurturing a strong relationship within my home. I have already noticed a change in my art because of this mind shift. I am feeling more content, confident and, I am more authentic in my ability to serve clients and create beautiful art for them. Building honest connections with my followers not only face to face but also online serves a purpose. Showing up in images authentically and broadcasting honest stories of my daily routines, it tells my audience that I am as human as they are and they appreciate that. It builds trust and an emotional connection with potential clients. We are all our own “brand” and I don’t want to be fake. Crop checks a daily routine. My own personal brand is a love for Australian Agriculture and capturing beautiful images for families and businesses. You will see new imagery pop up on my facebook page in-between my client sneak peeks. Authentic images of myself grubby and in my farm clothes or even the occasional behind the scenes image of what a session would be like with me. I actually tried to take my own personal brand photography. Well that didn’t turn out so well. I tried to use the timer on the shutter and the images just looked overdone. I then asked my husband or my mum to take the images. As much as I love them, I maybe got 1 out of 10 that were focused or correctly exposed. And I was a bit fussy on the angles because this actually can tell a fair bit of the story in an image. So I recently hired my own photographer to help capture these images. This year I also created a niche within my photography to offer other business/personal brand photography, I can capture your essence, message, hobbies/loves/interests and showcase them in a way that engages your audience emotionally and puts you in the best light. It can most closely be related to lifestyle photography, tailored to my client’s “brand.” A genre I feel has not yet been catered for within the region. Don’t mistake that for commercial photography, because that is merely displaying the business and not the people and their personalities within. Entrepreneurs and business owners are now faced with a marketing challenge to make emotional connections to customers. And I am here to help make that connection through professional branding images. Currently I have been commissioned to complete 2 businesses, a child care centre in Chinchilla and the Dalby Leagues Club, with another two in the consultation/design process. These businesses have seen the value in professional branding. So with hard work and determination, anything is possible. We all just need to FEAR, Face Everything and Rise and practice self worth and self love so that we can truly serve others authentically. Doing so, I can define progress on my own terms, and not be confined to the expectations of others. I am not bound to the rules others must follow, and I have full permission to take detours, enjoy pit stops, or hit the accelerator whenever I feel the urge.